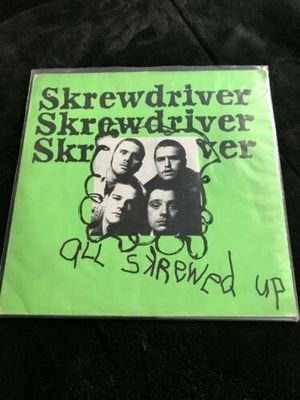 Screwdriver All Skrewed Up Cheswick Records Vinly Oi 77 Punk . Condition is Used. Shipped with USPS Media Mail. 77 punk record banned on Discogs, This is the non racist early version of skrewdriver before they went nationalist, Love it or hate it, it’s a collectible. The sketchyness of owning any skrewdriver record is always a conversation starter. Serious offers only. Cover condition there is a small hole punch in the top Left.Look at photos. Plays well.